In the last years, several techniques have been reported for managing a system and recognition of the related decision making units. One of them is based on mathematical modeling. Efficiency of any system is very important for all decision makings. Often applied data have time dependent inputs/ outputs. To calculate the efficiency of time dependent data, a new calculation method has been developed and reported here. By this method, the efficiency has been calculated, with minimum errors and minimum mathematical solving model. The data are often time dependent, therefore Spline function has been estimated as a function of time, without using any particular time. Based on this developed function, the efficiency of time dependent data of a numerical example has been calculated and reported. Farrell, M. J. (1957). The measurement of productive efficiency. Journal of the royal statistical society. Series a (General), 120(3), 253-290. Thanassoulis, E., De Witte, K., Johnes, J., Johnes, G., Karagiannis, G., & Portela, C. S. (2016). Applications of data envelopment analysis in education. Data envelopment analysis (pp. 367-438). Springer US. Zhou, P., Poh, K. L., & Ang, B. W. (2016). Data envelopment analysis for measuring environmental performance. Handbook of operations analytics using data envelopment analysis (pp. 31-49). Springer US. Egilmez, G., Gumus, S., Kucukvar, M., & Tatari, O. (2016). A fuzzy data envelopment analysis framework for dealing with uncertainty impacts of input–output life cycle assessment models on eco-efficiency assessment. Journal of cleaner production, 129, 622-636. Alirezaee, M., Hajinezhad, E., & Paradi, J. C. (2017). Objective identification of technological returns to scale for data envelopment analysis models. European journal of operational research. Kang, H., Nembhard, H., DeFlitch, C., & Pasupathy, K. (2017). Assessment of emergency department efficiency using data envelopment analysis. IISE transactions on healthcare systems engineering, 7(4), 236-246. Tavakoli, M. M., Molavi, B., & Shirouyehzad, H. (2017). Organizational performance evaluation considering human capital management approach by fuzzy-dea: a case study. 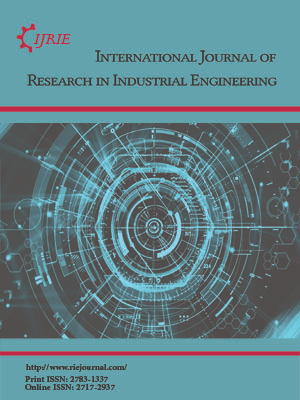 International journal of research in industrial engineering, 6(1), 1-16. Jahanshahloo, G. R., Hosseinzadeh, F., Shoja, N., Sanei, M., & Tohidi, G. (2005). Sensitivity and stability analysis in DEA. Applied mathematics and computation, 169(2), 897-904. Charnes, A., Cooper, W. W., Wei, Q. L., & Huang, Z. M. (1989). Cone ratio data envelopment analysis and multi-objective programming. International journal of systems science, 20(7), 1099-1118. Charnes, A., Cooper, W., & Li, Sh. (1989). Using DEA to evaluate relative efficiencies in the economic performance of Chinese-key cities. Socio-economic planning sciences, 23(6), 325–344. Seiford, L. M., & Zhu, J. (1998). Sensitivity analysis of DEA models for simultaneous changes in all the data. Journal of the operational research society, 49(10), 1060-1071. Färe, R., Grosskopf, S., & Norris, M. (1997). Productivity growth, technical progress, and efficiency change in industrialized countries: reply. The american economic review, 87(5), 1040-1044. Seiford, L. M., & Zhu, J. (1998). Stability regions for maintaining efficiency in data envelopment analysis. European journal of operational research, 108(1), 127-139. Nagano, F., Yamaguchi, T., & Fukukawa, T. (1995). DEA with fuzzy output data. Journal of the operations research society of japan, 40, 425-429.